One of the most important things to do to quell your dental anxiety is to talk to your dentist. Be open about what scares you so he or she can make the necessary arrangements to make you as comfortable as possible in the office. If your dentist knows the root of your dental anxiety, he or she can make adjustments to give you what you need during your next visit. A lot of people feel anxious at the dentist because they do not understand why all of the tools are used. If you fall into this category, you can ask the family dentist or the dental hygienist to talk to you about all of the tools and what they do. Once you understand their purpose, it helps you get past your dental anxiety and make it through your next appointment with ease. If you have tried all of these other tactics and still feel really scared about going to do the dentist, you might want to ask about sedation dentistry. You can choose between various levels of sedation that help you relax enough to get the dental care you need. When you choose sedation dentistry in St. Louis, the dentist can give you nitrous oxide to make you feel calm but alert during the procedure. If you need something stronger, the dentist can do IV sedation, which is sent directly into your bloodstream to knock you out so you are completely unaware of the procedure. You can also opt for oral conscious sedation that is administered through oral medication. An abscessed tooth is an infection in the pulp that can be treated with root canal therapy. The pulp of the tooth houses nerves and blood vessels that nourish the tooth. Tooth decay can reach the pulp and cause an infection. Even a cracked tooth might lead to an abscess because it allows germs to reach the pulp. If you have an infection and your dentist in St. Louis decides to try root canal therapy, he or she will remove the infection and clean out the center of the tooth. Once the infection is gone, the dentist will seal the tooth with a dental crown. Most root canal therapy can be completed in just 1-3 office visits. Check out this video to learn more. Gingivitis is the initial stage of gum disease. 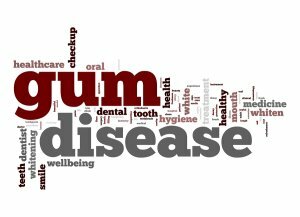 It happens when plaque develops at the gum line and causes inflammation. People with gingivitis usually notice bleeding, redness, or swelling in the gums when they brush or floss their teeth. You should schedule an appointment with your dentist in St. Louis as soon as possible if you notice any of these signs. Gingivitis does not cause permanent damage, which means it is reversible, but you have to get the proper treatment to stop it before it gets any worse. If your gingivitis is left untreated , it might develop into periodontitis. This more advanced stage of periodontal disease starts to attack the bone and fibers that keep your teeth in place. Once this damage begins, large pockets start to form beneath the gum line. Even more food and plaque can get stuck in these pockets, which puts you at a higher risk for more inflammation and damage. With the help of your dentist, you can find treatment that helps you manage your periodontitis and prevent it from getting any worse. If you do not treat periodontitis, it will advance into the final stage of periodontal disease, or advanced periodontitis. In this stage, the infection completely destroys the fibers and bones that keep your teeth in place. Without this foundation, your teeth might start to move around or even fall out. When your teeth move, it makes it more difficult to chew and talk. The infection in your mouth might also find its way into your bloodstream and increase your risk of heart disease, stroke, and other serious illnesses. Work closely with your dentist to keep your teeth and gums healthy and free from periodontal disease. Has fear been keeping you out of the dental chair? Don’t worry—you’re not alone. Millions of Americans have anxiety about going to the dentist, and many people in that group are so fearful that they never get dental care at all. Pretending your oral health needs don’t exist won’t make them go away, and in fact, ignoring them can lead to a long list of issues, from tooth loss to heart disease. The good news for patients with dental anxiety is that help is available in the form of sedation dentistry. Find out how sedation dentistry can revolutionize your dental office visit in this infographic from West County Dental . Our dental office serving St. Louis in West County is pleased to offer nervous patients sedation so they can develop a more positive outlook on dental care. Dental anxiety is so common that you’re sure to help many people by sharing this information, so please pass it on. 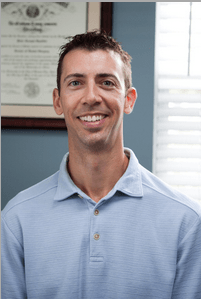 Dr. Spalitto started his dental education with a Bachelors of Science in Biology from Truman State University and then went on to attend dental school at the University of Missouri at Kansas City. Upon graduating in 2000, Dr. Spalitto served as a Major in the United States Army and worked in the Advanced Education in General Dentistry Program. Through his military and private practice experiences, Dr. Spalitto has gained a deeper level of understanding about oral health and how to give his patients the best care. He specializes in a comprehensive approach that gives him a well-rounded view of oral health care.